The Seco 4.8' Mini TLV Aluminum Prism Pole 5500-23 has all the features surveying professionals need, with two adjustable sections and dual graduations in feet, tenths, and hundredths of a foot and centimeters. 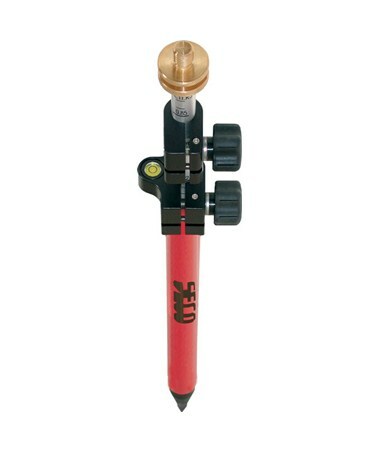 This solid red mini prism pole extends to 5.10' and collapses to 2.70'. 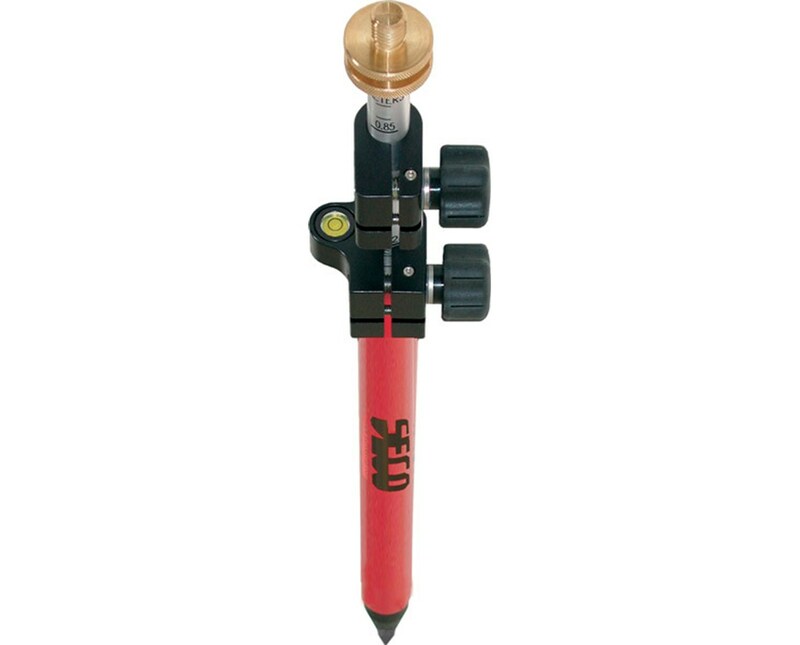 You can secure the prism pole's length with two twist knob locks. It has a 5/8 x 11 top thread for mounting prisms, an adjustable tip for changing the prism height, and a built-in 40-minute level vial for convenient leveling as you work. Aluminum construction makes this prism pole wear-resistant as well as lightweight, for it weighs just 2.3 pounds.